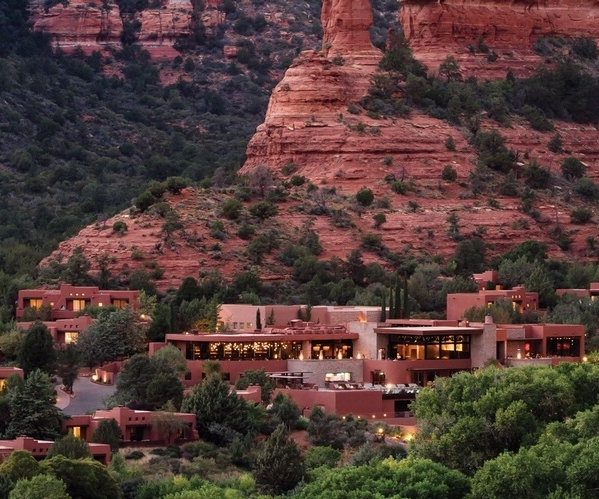 Travel: Sedona, Arizona – Girl Who Would be KING on Life, Style and INSPIRATION. Have you ever been to Sedona? The setting is pretty unreal. It’s a perfect location for mountain biking (our crew covered some ground and some dirt) and of course hiking. Or you can just….be. I’ve been there on a few occasions. I loved the red rock canyons so much that I tried to replicate the desert colours for the interior of my home. I believe I succeeded. What To Do: Stay at the Enchantment Resort, try Diamondback Rattlesnake cakes and Cactus Fries at The Cowboy Club, take a UFO Night Tour (for something different…c’mon where else can you find something like this?) and drink biodynamic organic wine at Chocola Tree. Depending on your interests, you can also sign up for a weekend of healing, like this one offered by Hope Yoga. Temperatures (October): High, 80 degrees Fahrenheit. Low, 52. It’s so beautiful there! I’d love to go back one day. There’s a pizza place called Mona Lisa Pizza and it’s amazing!